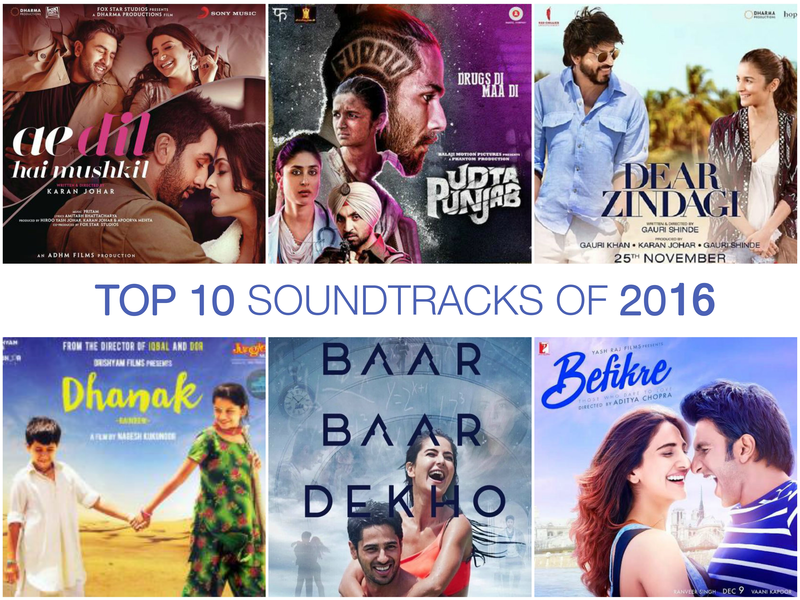 2016 was a indeed a mediocre year for music in Bollywood. Filmmakers and musicians seemed to be manufacturing template-based soundtracks, which isn’t a good trend of an industry that is known for its legacy of music. Probably it is the changed dynamics, contemporary Hindi film soundtracks do not enjoy longevity anymore. Out of the good ones that we have heard, here are the ones that we must raise a toast each to! Akira is the archetypal, watch-and-forget action thriller. Therefore, it is unlikely that we notice the powerful soundtrack Vishal-Shekhar churns out for the film. Sonakshi Sinha makes sort of a decent playback debut with ‘Rajj Rajj Ke’. The composers makes sure to give her a composition that fits the tremor in her voice. My favourites from the album would be Sunidhi Chauhan’s emotional Baadal and Shekhar Ravjiani’s saccharine-sweet Kehkashan. The former announces that Chauhan, a fantastic vocalist, is here to stay and rule the musicdom as the latter is a lovely ode by a man enamoured by the wonderful woman in his life. It wasn’t really a brilliant film. The bevy of composers didn’t have a clue on what each other was making. Yet, look at the variety they have on plate. Apart from Sonu Nigam’s unparalleled ‘Dard’, the album also consists of gems like ‘Rabba’ and ‘Barsan Laagi’. Although it is difficult to overlook Tulsi Kumar’s self-conscious singing, Jeet Gangulli’s ‘Salamat’ helmed by Arijit Singh is a beautiful piece too. Overall, a stunning album that doesn’t have a collective sound but resonates their individual soul remarkably well. Hello Amit Trivedi, we wholeheartedly detest you for not giving us the versions of ‘Taareefon Se’ and ‘Tu Hi Hai’ in Ali Zafar’s voice. Well, we would rather wait for the DVD but Dear Zindagi as a whole is a decent OST with the remaining songs stirring the right kind of emotions in the listeners. Noticed how Sunidhi Chauhan’s angst-ridden ‘Just Go To Hell Dil’ and Jasleen Royal’s pleasant‘Love You Zindagi’ present two facets of the film and are still encapsulated in a similar sound design? A situational album that didn’t have much scope for chartbusters, Dangal was nothing less than a challenge for composer Pritam. The makers weren’t game for a romantic song featuring Mahavir Singh Phogat and his homemaker wife either. Given the situation, we get a bunch of well-brainstormed song situations (written by Amitabh Bhattacharya) and some supremely functional tunes to them. The song that completely overshadows the rest is Sarwar Khan’s throaty and powerful ‘Haanikaarak Bapu’. Apart from its heart of gold, Dhanak also comprises of a grossly underrated soundtrack. Staying true its fairy tale-like screenplay, the songs are a delectable mix of surrealism and energy. From the theme song, ‘Jeene Se Bhi Zyada’ to the brilliant Indo-Western fusion in ‘Damadamm’, the serene title track and the folksy, full-throated ‘Mehndi’, the album needs to be heard a lot more. Tapas Relia, take a bow. No, this album by Gulzar and Shankar-Ehsaan-Loy is far from being termed ‘easy on ears’. It is artsy, and gels beautifully with the film’s dual narrative but it is equally tragic that the film turned out an over-wrought khichdi that served no entertainment whatsoever. However, for the soundtrack’s sake one must revisit the songs once in a while for the feeling it exudes – with the favourites being ‘Kaga’, ‘Aave Re Hitchki’ and ‘Teen Gawah’. The sole deficiency with this soundtrack is that it lacks a collective soul. Sounding more like a collection of good melodies, Baar Baar Dekho appears to be a fancy non-film album. There’s no connect between each song as most of them are by different composers. Happy songs form a trajectory of their own as the sad ones have another tangent to pursue. This absence of ‘feel’ is the only thing that prevents the OST from a better ranking. The album starts off with the experimental and mild ‘Kho Gaye Hum, which has a new tone lent by Jasleen Kaur Royal. The Punjabi dance number ‘Nachdene Saare’ shines with its underlined femininity as does Bilal Saeed’s delicious semi-classical ‘Teri Khair Mangdi’. Amaal Malik gives us an immensely hummable but over-programmed ‘Sau Aasman’ by Neeti Mohan and Armaan Malik. Arko Pravo Mukherjee makes his presence felt with hs versatile ‘Dariya’ while Badshah-Neha Kakkar’s famous-as-wildfire rehash of ‘Kaala Chashma’ is fun too! Neat. Punjabi folk meets psychedelia meets rap meets punk meets a lot of other things – sums up Amit Trivedi’s OST for Udta Punjab. One that makes you sit back, listen and take a detailed look back post viewing the film, Trivedi dares to experiment. Even in its conventional track ‘Ikk Kudi’, he infuses the earthiness of Punjab and it’s contemporary music. Writers Varun Grover, Shelley and the late Shiv Kumar Batalvi contribute tremendously in crafting this brilliant soundtrack. Plus, we get to hear some ‘actual’ rap in ‘Chitta Ve’ and some dreamy folkish sounds in ‘Has Nachle’. 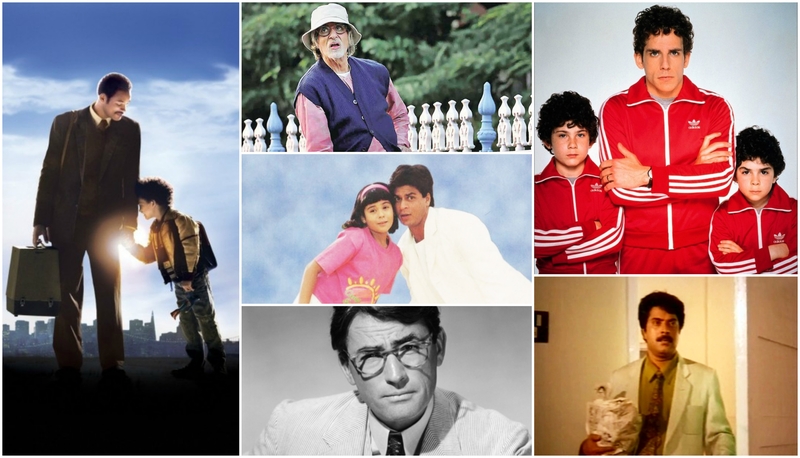 Much like Karan Johar, Aditya Chopra is another director who knows the sound of his films. Being the purist that he is, the filmmaker decides not to create a mishmash by signing multiple composers for a soundtrack. Written by Chopra’s favourite Jaideep Sahni and put to tune by the inimitable Vishal-Shekhar, Befikre has a handful of gems – with a spirit more beautiful than the film itself. Talking about the soundtrack, the composer-lyricist trio spins the year’s most romantic song ‘Labon Ka Karobaar’ for us. Crooned by Papon with great style and emotions, the song will fetch the OST a place in all possible lists of music. Equally appreciable is the peppy ‘Nashe Si Chadh Gayi’ which has the usually lovelorn Arijit Singh having a lot of fun. The energetic ‘Ude Dil Befikre’ and the emotional ‘Je T’aime’ are very well written and produced songs, giving the album a steady place in the list. It is as if the good-old times of 90s and early 2000s returned, for the sake of 6 songs. Can’t blame anyone as the man wielding the camera is a helluva Bollywood kid grew on a dose of evergreen Hindi cinema with an unmatchable taste for film music. Yes, Karan Johar makes Pritam deliver his finest soundtrack after Yeh Jawaani Hai Deewani that came 3 years ago. ADHM is one such album that caters to the masses as well as classes, like Johar’s cinema attempts to. On one hand, we get highly urbane numbers like ‘Cutie Pie’ and ‘The Breakup Song’ with word plays around all things moderns. On the opposite fence stands the the quintessential Arijit Singh ballad ‘Channa Mereya’ reminding us of Panjak Udhas’ golden melodies. The high-on-enery ‘Bulleya’ is bound to make you tap your feet and so does Shilpa Rao’s soulful re-rendition of ‘Aaj Jaane Ki Zid Na Karo’. An album that is very well written, composed and produced, there’s hardly any wrong note. Strangely enough, the title track is the least favourite of mine. Bravo Pritam and Amitabh Bhattacharya. Overall, it was a disappointing year for music in Bollywood as majority of soundtracks ended being middling attempts failing right at the outset. The year, anyhow, was a remarkable one for male playback singers with Arijit Singh ruling the roost with maximum hits and overarching presence. Other vocalists like Papon, Vishal Dadlani, Sonu Nigam, Ali Zafar, Rahat Fateh Ali Khan, Armaan Malik, Daler Mehendi, Amit Trivedi, Mika Singh and Amit Mishra too had their moments of glory. As for female vocalists, 2016 was special as it marked the return of Sunidhi Chauhan with a bang. Given the volcano of talent that she is, we indeed missed her. 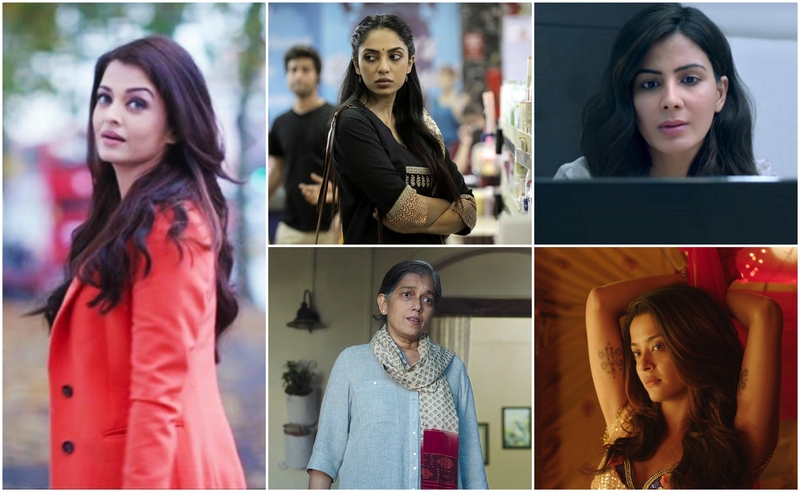 Otherwise a low-key year for women, Kanika Kapoor, Palak Muchhal, Neha Bhasin, Jasleen Royal, Jonita Gandhi and Kaushiki Chakraborty showed spark in some of their numbers. Here’s looking to a more melodious 2017!